main_menu_key <Alt>F1 Open up the Gnome main menu. run_key <Alt>F2 Bring up a dialog to run application. unmaximize_window_key <Alt>F5 Restore a maximized window to original size. slow_animations_key <Shift>F10 Show the animation in slow motion. window_menu_button <Alt>Button3 Bring up window menu. opacity_increase_button <Alt>Button4 Increase opacity of a window. run_command_screenshot_key Print Take screenshot of whole screen. 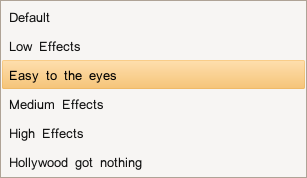 toggle_window_shaded_key <Control><Alt>s Shade/unshade a window. run_command_window_screenshot_key <Alt>Print Take screenshot of a window. window_menu_key <Alt>space Bring up window menu. 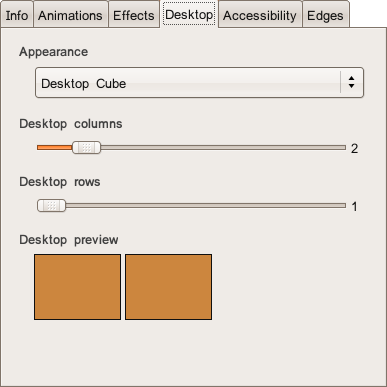 unfold_key <Control><Alt>Down Unfold the cube (show 3 desktops in a row). rotate_right_key <Control><Alt>Right Switch to the right desktop. rotate_right_window_key <Shift><Control><Alt>Right Switch to the right desktop with the active window. 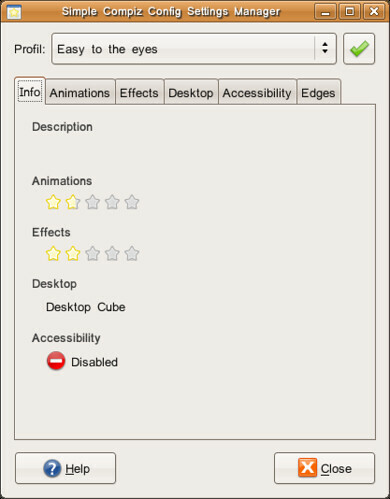 initiate_button <Control><Alt>Button1 Rotate the desktops in 3D. rotate_left_window_key <Shift><Control><Alt>Left Switch to the left desktop. rotate_left_key <Control><Alt>Left Switch to the left desktop with the active window. initiate_button <Alt>Button2 Resize window using mouse. initiate_button <Alt>Button1 Move window using mouse. next_all_key <Control><Alt>Tab Switch to next window for all desktops. next_key <Alt>Tab Switch to next window for current desktop. prev_key <Shift><Control><Alt>Tab Switch to previous window. zoom_in_button <Super>Button4 Zoom in manually . initiate_button <Super>Button3 Zoom in once. zoom_out_button <Super>Button5 Zoom out manually. initiate_edge [TopRight] Show previews of all windows using mouse. initiate_key Pause Show previews of all windows using keyboard. snap_key <Shift> Snap window to the grid.